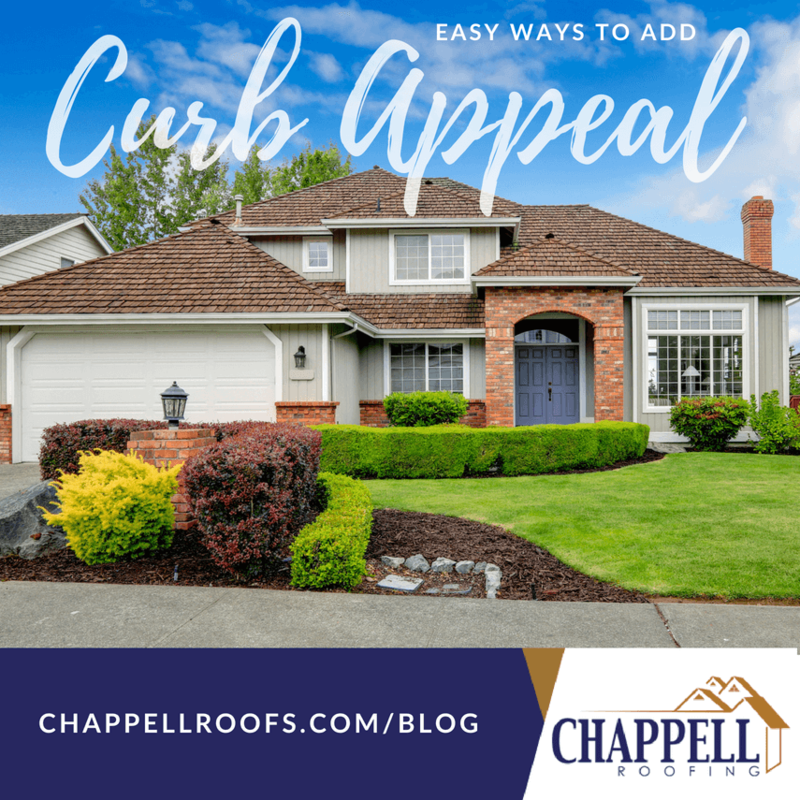 Whether you’re selling your home or just looking to refresh the exterior, adding curb appeal is one of the easiest ways to increase the value of your home. Not only will your home look more desirable, increasing the curb appeal adds a personal touch that will make your house the envy of the neighborhood. Painting the front door is one of the easiest ways to add curb appeal. A fresh coat of paint in an accent color will hide any old scratches on your door and draw new eyes from the street. Are your house numbers weathered and rusty? Replace them with shiny (or matte) new ones to add a sleek look to your house. Replacing, repainting, or cleaning your porch lights will brighten up the look of your house, both literally and figuratively. Adding small potted or hanging plants near your porch will make visitors feel welcome and add a personal touch to your doorway. Make sure your lawn is trimmed and watered so it’s lush and green. Pressure wash any built-up grime from the exterior of your home. You’ll be amazed at what could be hiding under all that dirt! A new color can completely revitalize the look of a home. Follow the latest exterior paint trends to add bonus curb appeal. Like paint, a new roof will do wonders for the exterior, especially if the color compliments the house. This is also a good time to ensure your roof is weatherproofed and upgraded to fit the needs of your home. Repaint, stain and replace any loose or broken boards. If your fence is old or wobbly, consider building a new one. Is the driveway cracked or sinking? Are there weeds growing in the cracks? Repave it to add great curb appeal to your home. If you’re thinking about replacing your roof, contact us. We can help you choose and install the perfect roof for your home at a great price.